The Sony Xperia XA2 and XA2 Ultra are both powered by the octa-core Qualcomm Snapdragon 630 SoC. The regular XA2 has 3 GB of RAM, while the Ultra sports 4 GB of the stuff. The smaller phone only has 32 GB of storage, while its bigger sibling also has a 64 GB variant, with both models supporting storage enhancement via a microSD card. Both handsets feature a 23 MP main camera on their backs. On the front, the Xperia XA2 has a single, 120-degree wide-angle, 8 MP camera to help you get more stuff into your selfie shots. 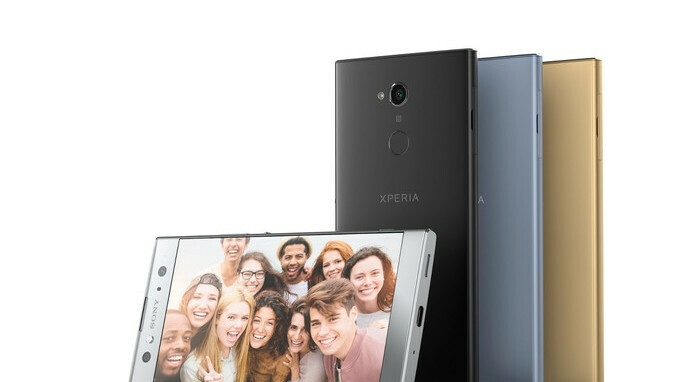 The Xperia XA2 Ultra has two selfie snappers — the same wide-angle one as on its smaller sibling and a 16 MP one that is assisted by its own OIS module for extra-stable, extra-detailed selfies. The major difference between the two handsets is in the display department. The "regular" Xperia XA2 has a 5.2-inch display with a 1080 x 1920 pixel resolution, while the XA2 Ultra is — as you might have guessed — bigger, with a 6-inch, 1080 x 1920 display. The two phones boast pretty respectable batteries — 3,300 mAh on the Xperia XA2 and 3,580 mAh on the Xperia XA2 Ultra. It's also worth mentioning that these are the first Sony handsets to arrive with a functioning fingerprint scanner in the US. Last but not least, they are both running Android 8 Oreo out of the box. If you'd like to see the duo in action, feel free to check out our hands-on videos for the two. Meanwhile, the Xperia L2 is a more modest and budget-friendly specimen. Its main characteristics include a quad-core MediaTek MT6737T SoC, a 5.5-inch 720p screen, 3GB RAM, 32GB of internal storage + microSD support, a 13 MP main snapper + an 8 MP selfie shooter, and a 3,300mAh power cell. The Xperia L2 also features a fingerprint scanner and is running on Android 7.1 Nougat. It makes sense that Amazon is selling it. A 2 week wait isn't bad.